Honor Storage in Irvine, California will provide you with the best portable storage units out there. If you are looking for the best portable storage services, don’t look any further! Honor Storage Irvine might be the best portable storage service in Irvine that you will find. Whenever you might need a temporary, on-site portable storage unit, give us a call to set up a delivery time for your storage units. We’re happy drop the containers off at your home or business so you won’t lose a lot of time. Once you receive your mobile storage unit, you can choose to load the belongings yourself or have our professional moving teams handle it for you. At Honor Storage Irvine, we offer great portable storage units. What’s great about our storage units is that they are very affordable as well. We’ve been targeting the Irvine area for many years now. Our friendly and professional staff will be on-site in no time to help you with packing and loading your belongings. Our goal is to build long-lasting relationships with our clients while providing them with the best storage unit services to make their lives easier. We consistently incorporate innovation, personal service, and proper communication to build trust and position ourselves to better solve their problems, because we care about our clients. Right now we have head offices in Santa Barbara, Ventura and Cypress. So wherever you are located in Orange County, we will be able to help you out. We’ve been helping families in Irvine storing their belonging for many years now. If you want to declutter your life, all you have to do is pick up the phone and tell us what you want to put in storage. 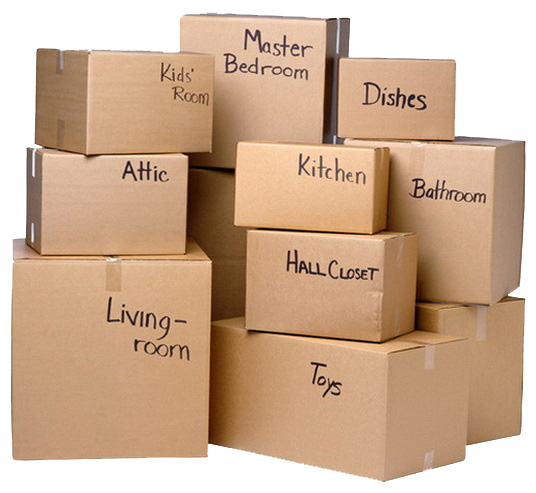 We will come to your home, pick up the belongings you want to store, and transport them to our storage facility. When you want to take your belongings out of storage, we will deliver them back to your address in Irvine or any other city located in California. Our clients find our services completely hassle-free, quick, and simple. Let’s us tell you a bit more about Irvine and why is this city such a popular destination for families. Besides the great weather, the nice people and the delicious food, there’s numerous other ways why people decide to go here. First of all, it’s one of California’s safest cities. The crime rates are really low here, which makes it an ideal city to buy a home and raise a family. The Irvine Job Market is also very strong. With a 4.6% unemployment rate Irvine has stayed at a lower employment rate compared to the state of California (studies have shown that rates have even risen in California). Irvine is ranked 7th in the USA for job seekers. So if you are looking for a new career, definitely consider moving to Irvine. Let’s talk about the perfect Irvine climate again. It’s pretty much sunny all-year round. So if you are looking for a warm winter place, this place might be just what you are looking for. The weather is also suitable for farming year-round. If that’s not enough, the access you’ll have to beautiful scenery is just breath-taking. Irvine combines the culture and atmosphere of a big city, with access to hundreds of acres at locations like the San Joaquin Marsh and Wildlife Sanctuary. Irvine Regional Park is the oldest park in California and hosts the Orange County Zoo. The city has also installed smart roadways that reroute traffic patterns. Thanks to this system, there will be fewer traffic jams. Fewer traffic jams are something everybody can get excited about. According to us, it will definitely have a correlation with happier people. And then we haven’t even talked about the incredible food. This would be without a doubt the only reason you need to move to Irvine. Because of all the farms nearby, Irvine is just full of fresh, healthy food that’s locally grown. This big, cultural diverse city then turns those fresh vegetables and local meat into delicacies from all over the world. Also, if wine is more your thing, you will find plenty of options here as well. Honor Storage in Irvine is without a doubt the place for all your storage needs. Our on-demand remote portable storage units have been very popular. Honor Storage will deliver the portable storage unit to your home. We will also make sure everything runs really smoothly. Packing and loading will never have been as relaxing as you’ll experience with Irvine storage services.